The first thing I did, well… I can’t show you. It’s a present for someone, and I’m 99% sure that someone reads this blog. So, I’ll get pictures, but I won’t post them until the item reaches its new home. More dragonflies! (The color is a little closer on this one, too – it’s BRIGHT green and blue on black) I picked up this fabric at a quilt shop in Ketchikan, AK while on SeaSocks. Isn’t it fun? I may play with making the next one a little bigger, I’m not sure. I have a couple of 9″ zippers (this was a 7″ one), so I may use that as an opportunity to up the size a smidgen. Oh, and CBear, my dear? You’ll be happy to see what has a very significant presence next to my machine, and gets used quite a bit now. September 8th, 2008 | Tags: FOs, Sewing | Category: Misc. 12 comments to And Now For Something Completely Different. I think I need someone to teach me how to use my machine. I love the wristlet. Heh … I can’t deal with fat quarters. I’m a yardage quilter and rarely work with fat quarters at all. It makes me happy to see people sewing, though. I miss it and desperately need to get back in front of my machines! love it! great job! dammit. I need to get my sewing machine out and make myself a cute bag like that! OMG that wristlet looks perfectly flawless! (Was that redundant? Oh well…) You’re putting me to shame; I haven’t touched my sewing machine in months, and I’ve got an elaborate costume to make! 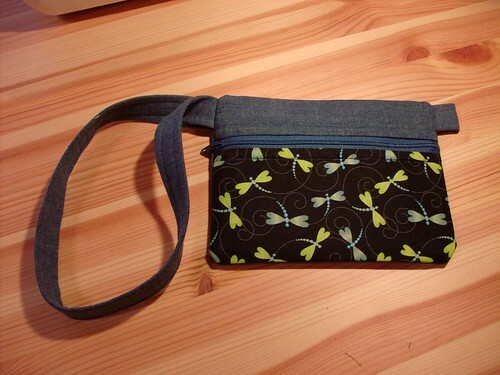 Nice job on the wristlet, love that fabric! I to have a Cbear original! Hehe Cristi can use the sewing machine now! OMG! 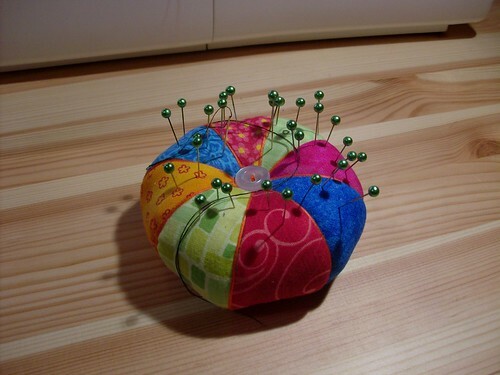 I never thought I’d ever see the pincushions being used! YIPPY!!! Your little bag is cute. that is the cutest lil bag. Love the dragonflies, and it’s green! Awesome job!! I actually created a flickr group for my patterns! 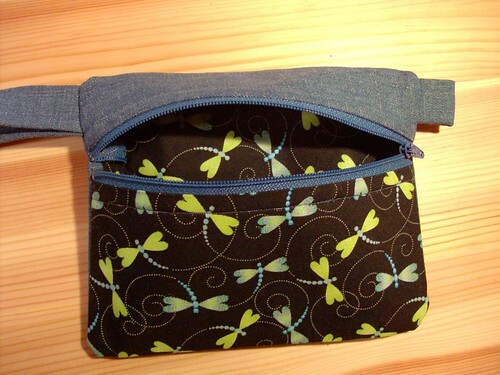 Very cute wristlet. I like your fabric selection.